As we age, many changes occur that result in our looking older. As our skin loses its elasticity, we begin to develop fine lines and wrinkles that are especially noticeable on our face. In addition, the face tends to lose the fat tissues that create its youthful fullness, which leads to the formation of hollows and other contour irregularities. As these conditions worsen, many men and women begin feeling self-conscious about looking older than they feel. Injectable formulas are strategically injected into the targeted areas with a small needle. The injections only take a few minutes to perform, and the entire treatment process is usually complete within 15 to 20 minutes. There are various injectables available, and the ideal type for you will depend on the correction needed. During your initial consultation, Dr. Knowling will evaluate you to determine the best injectable(s) to meet your individual needs and achieve your goals. The active ingredient is a protein derived from C. botulinum. 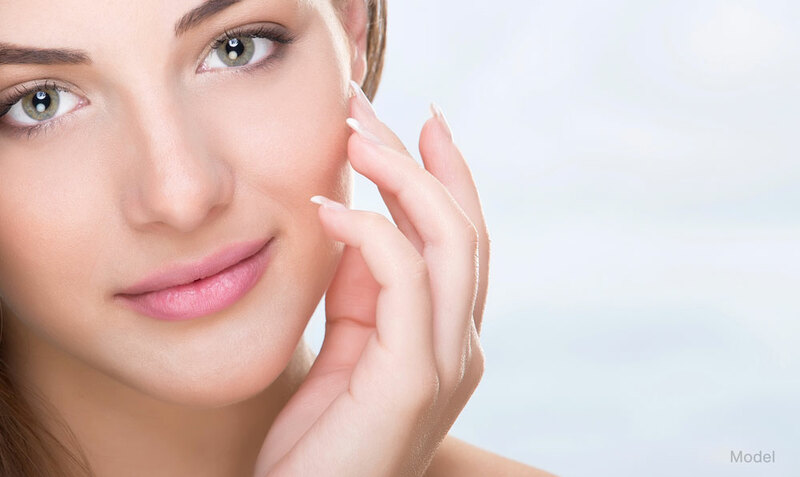 Botulinum toxin relaxes the targeted muscles and is FDA approved for treating fine lines and wrinkles, deep lines on the forehead, frown lines and furrows between the eyebrows, and crow’s feet. Botulinum toxin typically takes four to seven days for the onset to be noticeable, and the results usually last between three and six months. Botulinum toxin is deemed safe and effective by the FDA as safe and effective for the treatment of other medical conditions. Juvederm XC is an FDA-approved filler made of hyaluronic acid that improves the appearance of moderate to severe facial wrinkles, lines, and folds around the nose and mouth and restores natural contours to the face. Juvederm XC effectively treats nasolabial folds (parentheses lines), vertical lip lines, lines at the corners of the mouth, and marionette lines (lip-chin demarcation lines). With just one treatment, the results from Juvederm XC usually last a year or more. This product is often used to plump the lip contours. Juvederm Volbella XC is an FDA-approved injectable gel filler that increases fullness in the lips and softens the appearance of lines around the mouth. Results from a simple treatment with Juvederm Volbella XC usually last a year or more. Juvederm Voluma XC is the hyaluronic acid filler, FDA approved, that Dr. Knowling has chosen for patients desiring volume augmentation of the cheeks (must be age 21 or older). Results from Juvederm Voluma XC can last up to two years. Q. Will injectable treatment hurt? A. Most formulas are FDA approved to be mixed with an anesthetic to reduce any potential discomfort. The skin may also be chilled, treated with a topical anesthetic ointment, or injected with an anesthetic for patient comfort. Q. How long is recovery after treatment? A. No downtime is required after injectable treatment. However, some swelling, redness, and tenderness may be present immediately after treatment and, depending on the type of injectable, may persist for a few days. Q. How much do injectables cost? A. The price of each injectable varies depending on the formula, the number of areas treated, and the amount of correction needed. Q. How long will the results from injectables last? A. The durability of the injectable result varies anywhere from three months up to two years. Have additional questions about the Injectables procedure? Schedule a Consultation with Dr. Knowling for further information.